Conch Republic Cup, Inc. is a 501(c)(3) charitable organization dedicated to support the Cuban and American people in their return to sailing and racing between the Southernmost Point in the US and Cuba by providing education and cultural exchange through the sport of sailing. 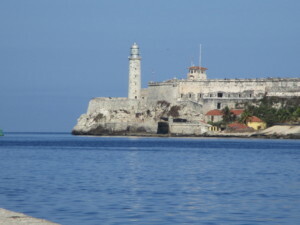 Before the revolution, one of the things Cubans and Americans shared was their love of sailing. Racing between Key West and Cuba had been occurring since the 1970’s. In 1997, Commodore Escrich of Hemingway International Yacht Club (HIYC) in Havana approached the Key West Sailing Club, now Key West Community Sailing Center (KWCSC), about a race partnership and the Conch Republic Cup (CRC) began. With the Commodore’s enthusiastic support, Michelle Geslin and Peter Goldsmith were able to pull off the first race in 1997 to Varadero. The race prospered for several years and was a force for building positive relationships between the otherwise ostracized cultures. In 2003, the event took a 13 year hiatus due to pressure to stop doing the event. However, neither Cubans nor Conchs ever lost the dream of re-establishing this enormously popular sporting exchange; so when restrictions were lifted in 2015, the CRC faithful were ready to launch again. 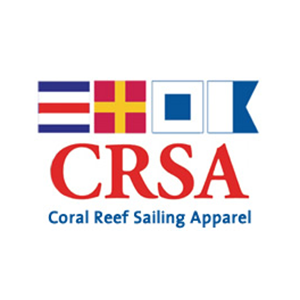 The goal of the founders and members of CRC has always been to support the Cuban and American people in their return to sailing and racing between the Southernmost Point in the US and Cuba. We believe that building these kinds of cross-cultural partnerships is an immense part to reestablishing relationships between our two governments, friendships between our two peoples, and a better appreciation and respect for each other’s culture. We intend to bring racing education to their people as well as ours and cultural exchange through the sport of sailing. CRC draws both cruisers and racers from around the world. It offers both long-distance offshore racing as well as inshore buoy racing. A balance of race days and lay days make it possible for participants to exercise their sailing skills, sail with and against Cuban racers and enjoy the local culture in Havana and Key West. The schedule is also designed to highlight the local sailing education at the KWCSC through exhibition racing done prior to the start of the race. We plan to host other events throughout the year to increase interest and funding for nonprofits that promote sailing and sailing education. In 2016, the first year of the reestablished CRC, 60 boats with 435 people participated. They hailed from more than 25 states and 5 countries including several Cuban sailing vessels that joined the buoy races in Cuba. Last year among the boats was “Impossible Dream,” a wheelchair accessible custom designed catamaran from Shake-a-Leg Miami, a nonprofit organization that promotes sailing for disabled persons. The staff of CRC include both professional and amateur racers as well as experienced administrators and event planners. The races are management by a Certified Professional Race Officer with a professional race team to set up and run all race events. In 2016 the Cuban people who assisted with the races in Cuba showed an interest in gaining more knowledge regarding the ability to run proper races in their waters. They were all members of HIYC, a Cuban nonprofit, and avid boaters so already have an appreciation for on the water activities. They did need education and training to greatly improve their ability to organize and run a regatta with the best outcome. Our race committee and organizers along with certified race officers’ trained them last year and will be actively training them again this year. As interest in our mission increases we will expand our sailing educational activities to not only include training for Cuban race organizers but also for participants and the local sailing communities. CRC’s goals are to use the excitement created by the races to engage more people in Key West and Cuba in the sport of sailing. To this end, all net proceeds of the races and events are given to Internal Revenue Code 501 (c)(3) nonprofit organizations that teach sailing and provide sailing education such as the Key West Community Sailing Center and Shake-A-Leg Miami. The Conch Republic Cup is a 501(c)(3) charitable organization.